Harlequin fun casino hire offer a fantastic, unique way to entertain guests at your event with full size casino tables and using genuine Las Vegas playing cards and chips, using only professional, experienced croupiers. 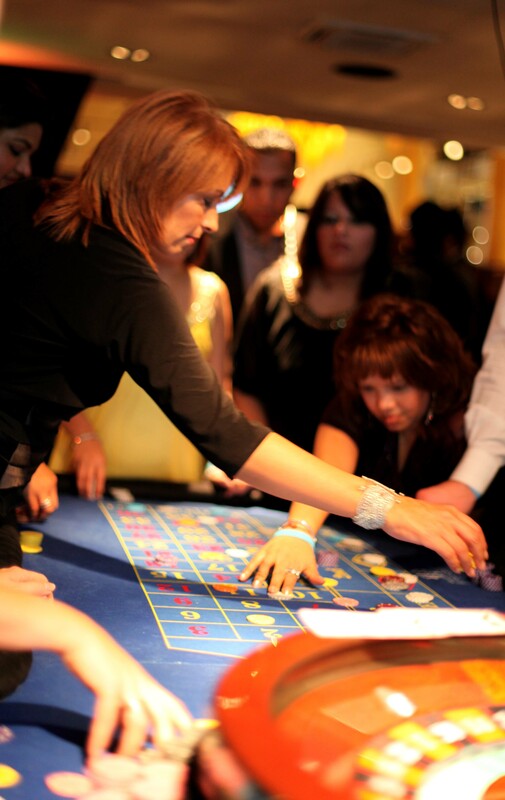 A fun casino is a great way to entertain your guests, or to break the ice at parties and corporate events. 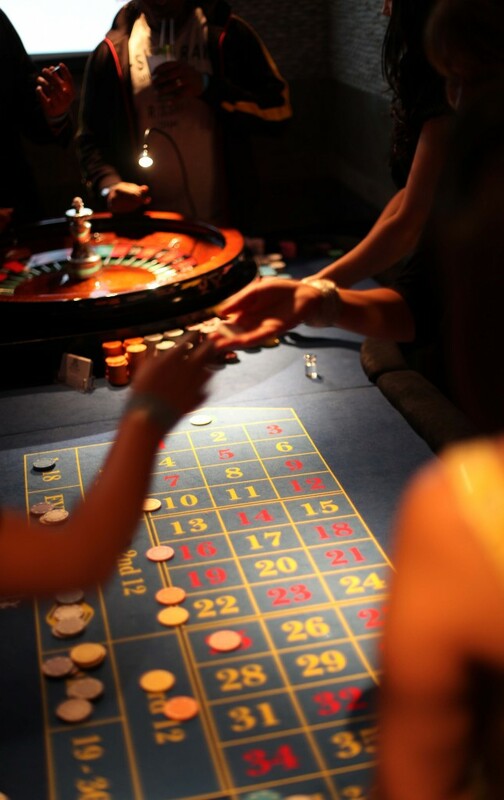 Having a fun casino at your event is a sure-fire way to ensure your guests have a great time together, and remember your event for years to come. Whether you’re a dab hand at the casino tables or a complete beginner, our highly experienced, professional croupiers will ensure you and your guests have an exciting and very fun time. If you or your guests have never experienced a fun casino night, our croupiers will happily explain the rules of the games and help you throughout the night. We hand pick our croupiers for their approachability and good character. In our experience, the lovelier and friendlier the croupier, the more fun your guests have at the tables! Every single time we entertain at an event, we are complimented on the standard of the croupiers we employ, which is great! We set up the tables before your guests arrive, and when we’re done, we’ll take the fun casino tables away discreetly, and leave you and your guests to enjoy the rest of your night. We can always leave the tables up after we’ve finished if you’d prefer us not to pack away whilst the party is still in full swing? Let me know if that’s something you might be interested in and we’ll go over the event in more detail. So how does a fun casino work? Just like in any real casino in Las Vegas, Harlequin fun casino hire has casino tables with genuine Las Vegas playing cards and chips, expert croupiers with intrinsic knowledge of the games, and all the thrill and excitement of taking a gamble. The only difference is that a fun casino is played for fun money and no real money changes hands. At the beginning of the night, all guests are given the same amount of fun money. This money is then exchanged for casino chips, which can be played on any of the fun casino tables at the event. At the end of the night, the player who has managed to accrue the most amount of fun money either in cash or chips, wins! The winner is the awarded with a prize. It’s that simple, and a huge amount of fun, without any of the worry involved when betting real money. Harlequin Fun Casino exclusively use full size, casino standard, immaculately presented roulette, blackjack and poker tables, complete with authentic accessories, including playing cards which have actually been used in play in many of the biggest and best known casinos on the Las Vegas strip, including The Flamingo, Bellagio, Caesar’s Palace and Planet Hollywood. It’s our attention to detail that sets us apart, and it’s our luxurious casino tables that make us your first choice for private events. Public Liability Insurance covers a business if a customer or member of the public was to suffer a loss or injury as a result of its business activities and if that person made a claim for compensation. The insurance would cover the compensation payment plus any legal expenses. So why is public liability cover a good thing for customers? Even when a business does everything right there is always the chance of an accident happening. With the right insurance cover, a business can operate knowing that should the worst happen, their customers’ property could be repaired, their possessions replaced and their medical costs paid for. Make sure the business you hire has public liability insurance. Any business that has visitors to its premises or involves work on client sites needs public liability insurance. You should ask to see a company’s insurance schedule and documentation before taking them on.